Harriet Hawkins would have turned two this April and it is a daily torment for her parents to imagine what their little girl would be like now. Would she be a chatterbox or would she be shy? Would she look more like Mum or Dad? For the sake of their own sanity, these are thoughts that must be pushed aside. ‘I can’t look at a toddler knowing that our daughter should be alive today,’ says her father Jack Hawkins, a hospital consultant. Harriet’s first smile, first tooth, first steps — these are all the treasured milestones lost to Dr Hawkins, 48, and his wife Sarah, 34. Instead, Harriet lies in a hospital mortuary, 20 months after she was stillborn at Nottingham City Hospital on April 17, 2016 — the same hospital where both parents worked — following a traumatic six-day labour. The Hawkins have always refused to accept the Trust’s own investigation into their daughter’s death, which concluded she died from an infection in the womb. An independent report made public this week concluded what Dr Hawkins and his wife believed from the outset — that Harriet’s death was ‘almost certainly preventable’, the result of a catalogue of blunders, which the Hawkins accuse the Trust of trying to ‘cover up’. An external investigation found 13 failures in Sarah’s care and said a ‘lack of midwifery leadership’ and ‘poor safety culture’ were contributory factors in Harriet’s still-birth. Nottingham University Hospitals Trust has apologised for its ‘shortcomings’. The Hawkins’ lawyer, Janet Baker, said that in 20 years of practising in clinical negligence she had never seen ‘such a horrendous string of errors’. Dr Hawkins says today: ‘Sarah and I passionately believe in the NHS. We wanted to have our first baby delivered by hospital colleagues. We wanted to be treated like every other patient, without special treatment. He adds: ‘This is not an isolated case. We asked the Trust how many similar deaths there were to Harriet’s and we discovered there were 35 in just over two-and-a-half years. The Hawkins have now referred Harriet’s case to the Crown Prosecution Service and Health and Safety Executive in the hope of saving other prospective parents from the trauma which will forever haunt them. They are also campaigning for a change in the law to allow coroners to investigate stillbirths, which they believe would help flag up failings in NHS maternity services. Currently, if a baby dies after 24 weeks of pregnancy, before or during labour, the death is classified as a stillbirth and not covered by coronial law, i.e. there cannot be an inquest. Sarah says: ‘If the Trust had said from the start “We’re very sorry, we messed up, we’re going to learn from this”, then that would have been enough for us. We could have buried our daughter and grieved. Her body wouldn’t have had to lie in a freezer for 20 months. ‘But there’s been no openness, no transparency and no willingness to accept they might have got it wrong. At one point, they even suggested we were to blame for Harriet’s death.’ Until Harriet died, the Hawkins had nothing but positive things to say about the Trust for whom they worked. 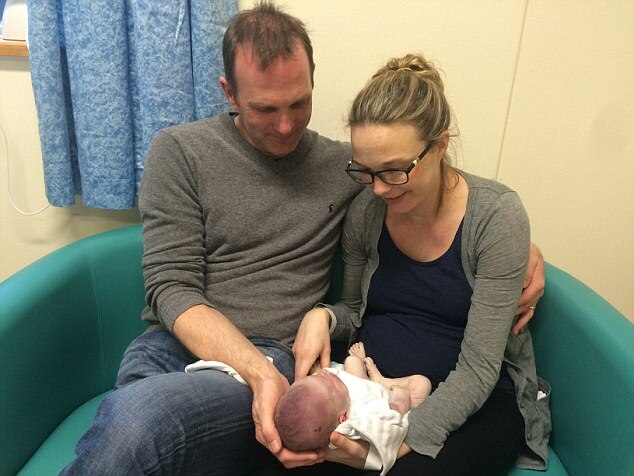 Sarah, who met her husband of three years at work more than ten years ago, couldn’t have been happier to give birth to her first baby among NHS colleagues. As for Dr Hawkins, as a consultant in acute medical care and clinical director in NHS Improvement’s emergency care improvement programme (ECIP), and the emergency care intensive support team (ECIST), his whole career was devoted to improving patient care and safety. Sarah’s pregnancy was without problems and she worked right up to the 38th week, even helping save the life of a patient in cardiac arrest in her final week. ‘We were very excited about our first child,’ she says. 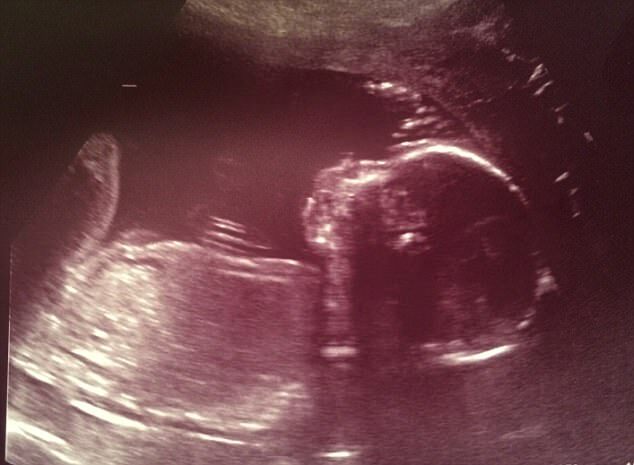 ‘We didn’t know if we were having a boy or girl, because we wanted it to be a surprise. Friends had given us some clothes and a cot and we’d ordered a pram, but my mum told me not to have it delivered until after the birth because it’s considered unlucky. Sarah was one day overdue when she felt her first contraction on April 12, 2016. An examination by a community midwife showed that she was 2cm dilated. Sarah was advised to phone the Queen’s Medical Centre in Nottingham, where she was booked to give birth. That evening, as the contractions became more frequent, she was invited to come into the labour ward, but was sent home after being told her contractions were not close enough together. She was given codeine for the pain. At home, despite following advice to take baths to ease her discomfort, Sarah was in excruciating pain — at one point collapsing — but she was repeatedly told her contractions were not close enough for her to be admitted to the labour suite. At quarter past midnight on April 16, Sarah again phoned the labour suite asking if she could come in for gas and air, or an epidural, because she was exhausted and in pain, but says she was told she couldn’t receive these until she was 4cm dilated. This call resulted in admission. They gave Sarah diamorphine, then codeine and paracetamol but did not re-examine her and sent her home at 6.30am. The couple were told they need only call to be readmitted. But when they called at lunchtime that day they were twice denied admission by a midwife, who told them Sarah was not in labour. This midwife has never come forward or been traced by the hospital. Dr Hawkins desperately wishes now that he’d kicked up a fuss and demanded that Sarah be seen by a consultant there and then, but he remained respectful of the midwives, not wanting to pull rank or over-react when he knew labour could be unpredictable. But not only was Sarah in established labour, it was already a ‘dysfunctional’ labour, which required emergency medical attention. 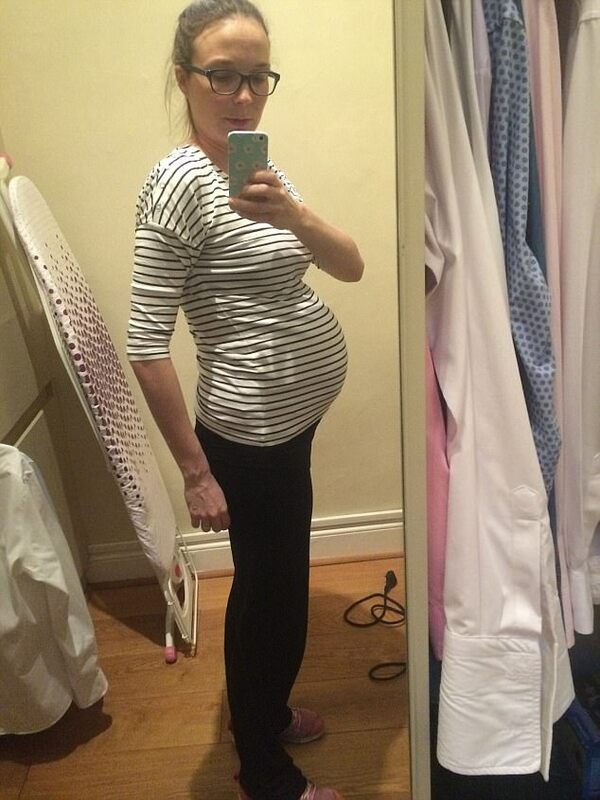 Suffering from fluid retention, Sarah’s bladder was unable to expel two litres of urine, putting the pregnancy at risk and preventing labour progressing. At 2.18 am on April 17, the Hawkins say they called the labour suite again after Sarah’s waters — not yet broken — started to bulge through the birth canal. They were told admissions to the Queen’s Medical Centre had been suspended due to understaffing. 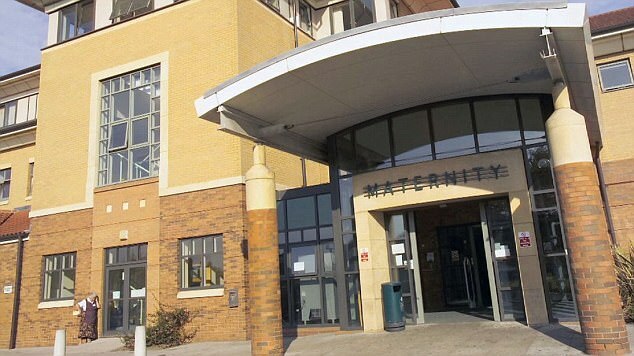 They were advised to call the labour suite at Nottingham City Hospital instead, but claim the midwife they spoke to there, on the phone, was dismissive and failed to recognise the urgency of Sarah’s worsening situation, insisting she was not in established labour and did not need to attend. Dr Hawkins continues: ‘They finally told us to come in and asked if we wanted an ambulance, but we knew it would be quicker if we drove there. ‘We’d had the car packed and pointing in the right direction for six days. Dr Hawkins believes their daughter was already dying or dead from asphyxiation by the time his wife was admitted. Midwives, on examining Sarah, found she was 9cm dilated, the baby’s head was visible and she was ready to deliver. He struggles to contain his emotions when he describes how they began to fill a birthing pool, very slowly through a ‘scabby old hose’, while a midwife tried to find the baby’s heartbeat, and — we know now following the independent investigation — mistook Sarah’s own heartbeat for Harriet’s. Sarah describes what happened next as a living nightmare. A midwife checked again for the baby’s heartbeat, and — finding nothing — urgently called for the registrar. ‘He said: “I’m sorry, your baby’s dead.” It was the first we knew anything was wrong,’ says Sarah. 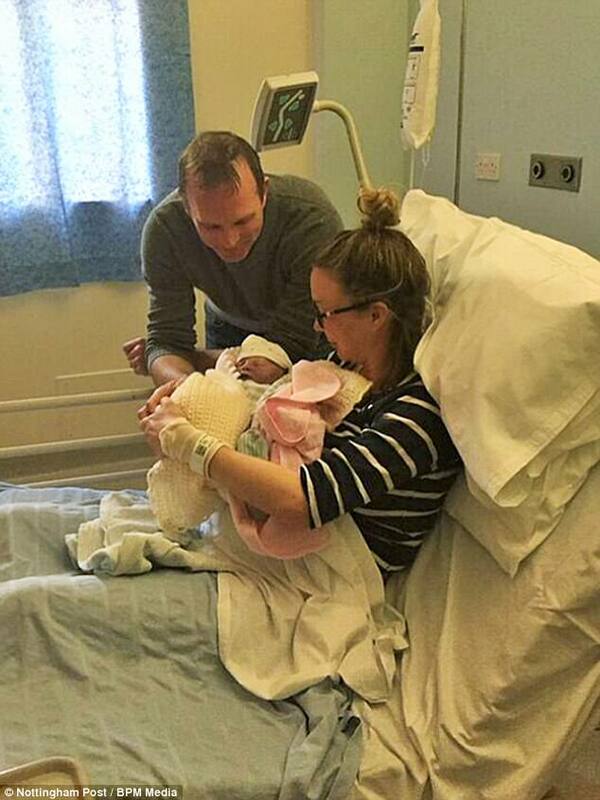 It took Sarah nine hours to deliver Harriet, with medical intervention. Dr Hawkins demanded that a consultant attend his distraught wife when she went to the operating theatre. The couple will never forget the hours they spent with Harriet. They cuddled her, took photos and mourned her loss, before returning home with an empty car seat. Friends took away all the baby things and Sarah’s brother-in-law cancelled the pram order. Dr Hawkins adds: ‘If we hadn’t had a medical background, it would have been very easy for us to accept the Trust’s position that it was just one of those things and that no one was to blame. The Hawkins’ solicitor Janet Baker adds: ‘The external investigation report into the death of baby Harriet is highly critical of the care given to Sarah and Harriet highlighting 13 separate failings. This week, hospital Trust chief executive Tracy Taylor said: ‘I profoundly apologise that we let them and Harriet down so badly. Nottingham University Hospitals NHS Trust has acknowledged that it is likley Harriet would have survived had it not been for several shortcomings in care. While the Hawkins see this as good news for other parents, they have lost far more than Harriet. Sarah is still too emotionally fragile to return to work, and Dr Hawkins’ contract with the Trust came to an end in December.